Physics and faith, poetry and philosophy came together today at a Service of Thanksgiving for the life of Stephen Hawking: cosmologist, educator, inspiration to millions, and a member of the Fellowship of Gonville & Caius College for over 52 years. Some 500 mourners were at the service at the University Church of St Mary the Great, Cambridge, just a stone’s throw from the College. More than 50 Fellows of Caius, including the Master, Professor Sir Alan Fersht, and College President Professor John Mollon, attended the ceremony. 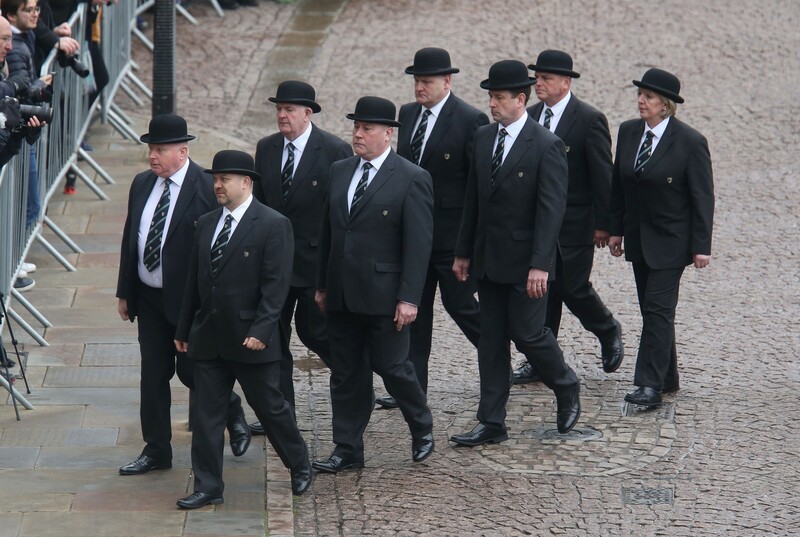 Six Caius porters carried Professor Hawking’s coffin into the Church, and Head Porter Russell Holmes, wearing formal uniform of top hat, tails and ebony cane of office, walked ahead of the cortege as it made its way up King’s Parade. The Revd Dr Cally Hammond, Dean of Caius, officiated at the service, and the music was sung by The Choir of Gonville & Caius College under Precentor Dr Geoffrey Webber. 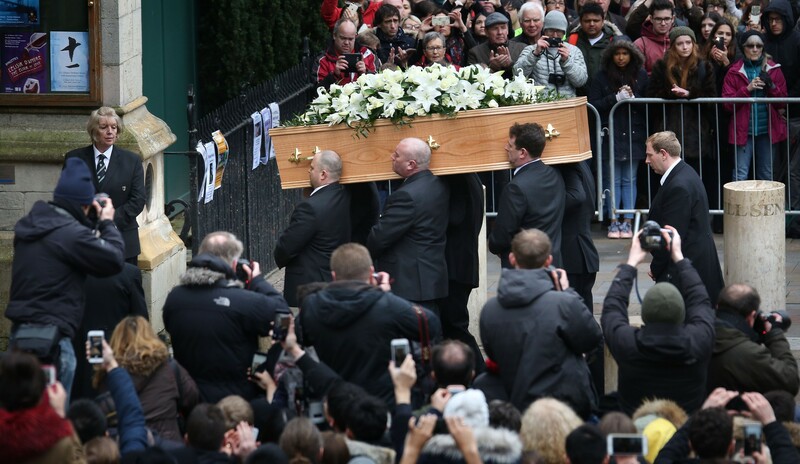 Hundreds of people lined the streets for the funeral, breaking into applause as the hearse carrying Professor Hawking’s coffin – topped with an all-white arrangement of “Universe” lilies and “Polar Star” roses - drew up outside the church. Professor Hawking died on 14 March 2018, aged 76. 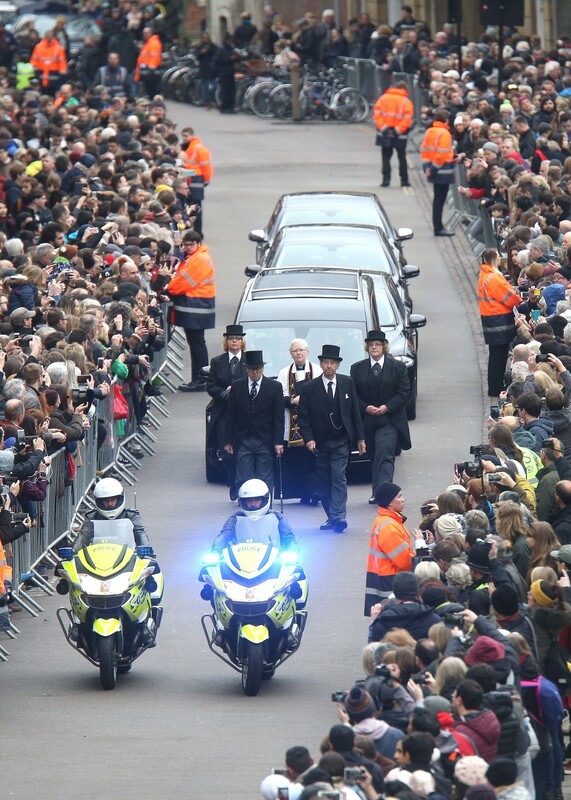 His funeral was private, but his family invited many who had touched his life, including friends, Caius and Cambridge colleagues, carers and nurses, academics from overseas and more. Readings at the ceremony were given by the actor Eddie Redmayne, who won an Oscar for his role as Professor Hawking in the 2014 film The Theory of Everything, and Martin Rees, the Astronomer Royal. Mr Redmayne read a passage from Ecclesiastes 3.1-11, “For everything there is a season”, while Professor Rees read “The death of Socrates” from Plato Apology 40. 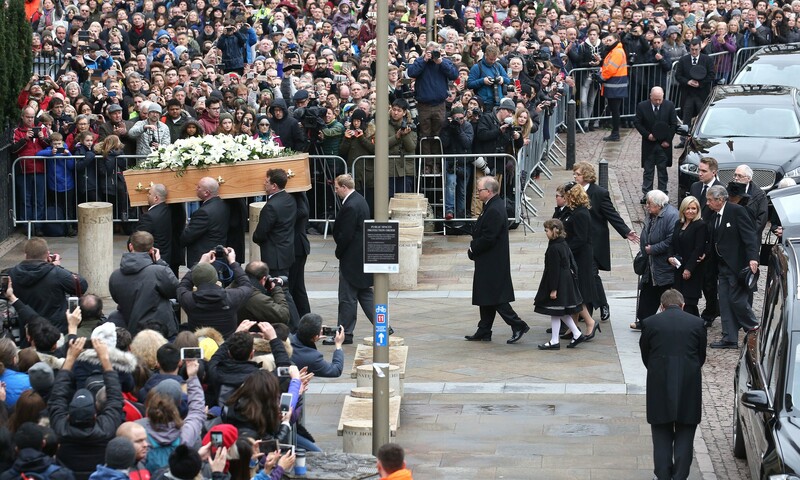 Professor Hawking’s elder son Robert gave the eulogy, telling of his father the physicist and the man. He recalled his own sadness when his father’s tracheotomy meant he could no longer hear his true voice, but also Professor Hawking's mischievous love of late-night dancing. Professor Fay Dowker of Imperial College, Professor Hawking’s former student, spoke of the impact his work and presence had created. She said: “Stephen shared his work and his zest for the fundamental questions it addressed with wide audiences. Music at the ceremony included Beyond the Night Sky by the Caian composer Cheryl Frances-Hoad, specially-commissioned and presented to Professor Hawking by Gonville & Caius College for his 75th birthday in 2017. The Choir also sang the Lord’s Prayer in Old Church Slavonic, with music by Igor Stravinsky. The hymns were He who would valiant be and Jerusalem. A condolence book, which was opened on the morning of Prof Hawking's death, remains available to members of the public in the Porters' Lodge at Caius. A service of thanksgiving for his life will take place at Westminster Abbey in London on 15 June. Professor Hawking’s ashes will be interred next to the grave of Sir Isaac Newton, who was buried in the Abbey in 1727, and close to that of Charles Darwin, who was buried in 1882. The Dean of Westminster, the Very Reverend Dr John Hall, said it was "entirely fitting" the professor's final resting place should be "near those of distinguished fellow scientists". The condolence book is now closed, but comments can be left on this online form and will be displayed on this page following moderation.